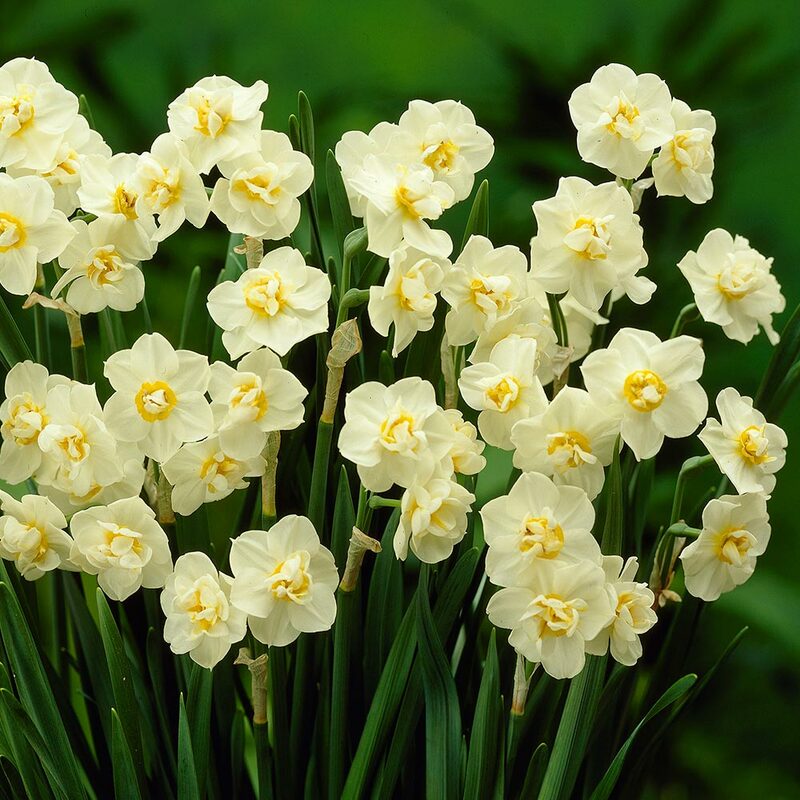 This English grown variety is extremely sturdy and has a wonderful fragrance. It is an RHS award winning daffodil and displays 1-3 beautiful double flowering blooms per stem. 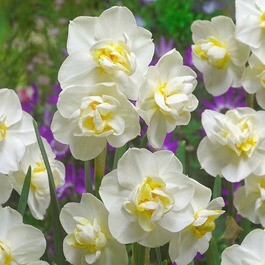 It has alabaster white perianth, with an ivory and lemon-yellow centre atop a tall dark green slender stem. Growing to a height of 35cm they are perfect for borders or patio pots and containers. 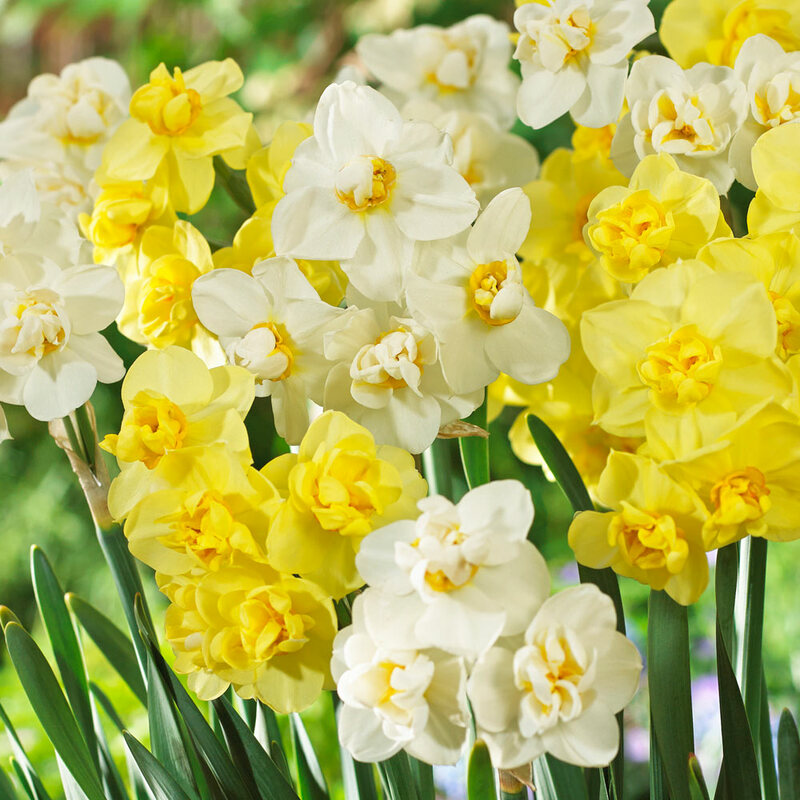 Cheerfulness has a tufted habit and looks particularly effective as part of cut flower displays. Will tolerate exposure and thrives in sunny or partially shaded locations. Flowers in April and May. 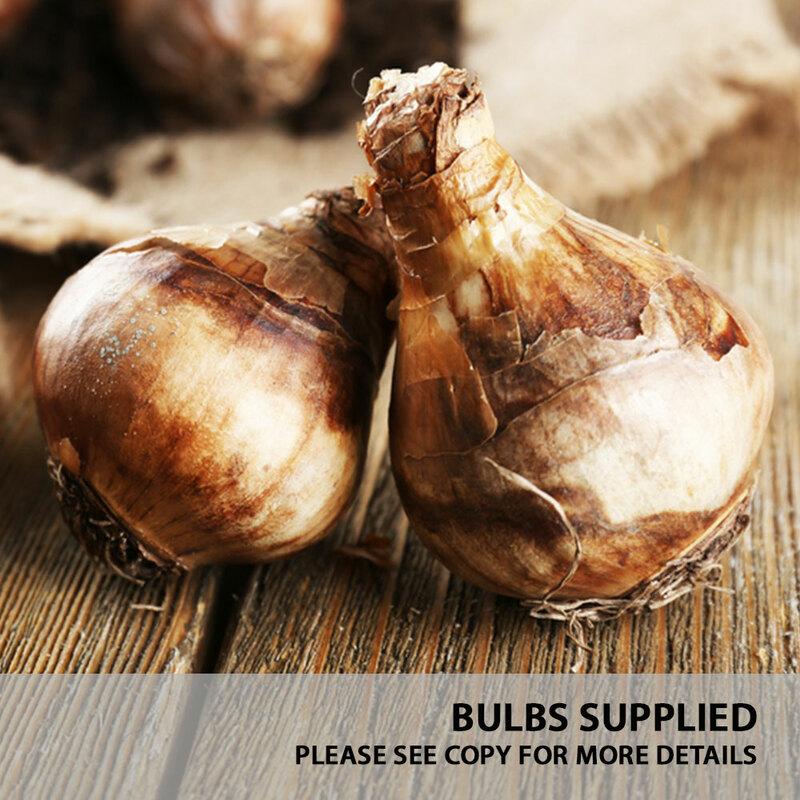 12/14cm+ bulbs supplied. Will tolerate exposure and thrives in sunny or partially shaded locations.